E.g. Incumbent staff statistics, trend rate of staff turnover rate, age/gender/working age ratio of incumbent, etc. According to the personnel business logic shows what should be done. E.g. The employees whoes labor contracts are about to expire, the list of birthdays for this month, the new employee social security fund payment reminder, etc. Display basic information and latest status of all incumbents. Support for importing employee rosters, automatic configuration of header display, employee photo wall, retrieval based on any criteria, etc. Personnel entry and the presentation of business process operations and up-to-date information during their employment. Organization Chart：Two ways to showcase the latest organization and personnel in real time. Set the work time schedule of department or time, flexibly corresponding to multiple working methods. The work plan includes information such as legal holidays, working days and working hours. Based on the work plan, the actual information of the system and the attendance machine is compared to the employee’s attendance result. The attendance setting is flexible. System supports online scheduling, it can automatically collect employee attendance data in the enterprise attendance machine, according to the employee’s attendance record, vacation record and overtime record, and combine the attendance rules set in the system to conduct comparative analysis and judgment, and obtain the test abnormality. Diligent status, generate attendance results analysis report. The salary calculation is based on the attendance results. Salary projects and salary formulas can be freely set, automatically calculate employee salaries based on the attendance results and salary formula algorithms, and easily complete various complex calculation requirements. Under the same organizational structure, it can support multiple legal persons to pay and classify separately. Real-time control of commercial insurance on the list and remaining vacancies. Support one company to purchase multiple commercial insurance, you can set up special positions to automatically remind you to join commercial insurance. From the collection of talent recruitment requirements to the integrated management of recruitment progress tracking. Provide a set of process management solutions from recruitment requirements collection and approval, demand release, resume collection, interview management, to talent recruitment. From the collection of training needs to the training courses and the integrated management of the production of the training plan to the implementation. Training needs, training courses, training course application/approval process, and feedback and training reports after training, such as training records, training hours, training costs, etc. Set up an approval flow based on your business needs. E.g. entry and exit approval, rectification, transfer of posts, travel, travel and other processes set up and management. 1. Lower cost. Lean service, companies only need to pay for the features they need. 2. Higher additional value. We not only provide products, but also provide information and HR consulting professional services for enterprises. 3. Higher scalability. Flexible response. We can response in time according to different stages of enterprise development. 4. More reliable service. The product manager corresponds to the long-term service of the project manager. 1. Customized functional design makes people work smarter and more efficient. 2. The product details are designed to be more intimate and the system operation is simpler. 3. Schedule management, meeting minutes and other functions make people work more efficiently and worry-free. Let management executives understand key personnel information anytime, anywhere. 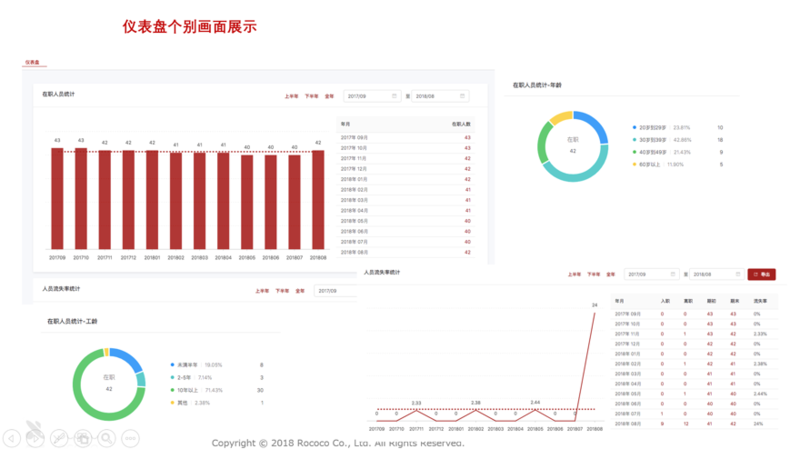 The Dashboard module provides a graphical representation of the latest people’s statistics in this system in an intuitive and real-time manner. Including incumbent staff statistics (by month), staff turnover rate statistics, incumbent staff age statistics, incumbent staff gender statistics, incumbent staff contract statistics, incumbent staff age statistics, incumbent staff department statistics, incumbent staff academic statistics, incumbent staff category statistics, etc. Comprehensive smart reminders and notifications, one page to get the business. 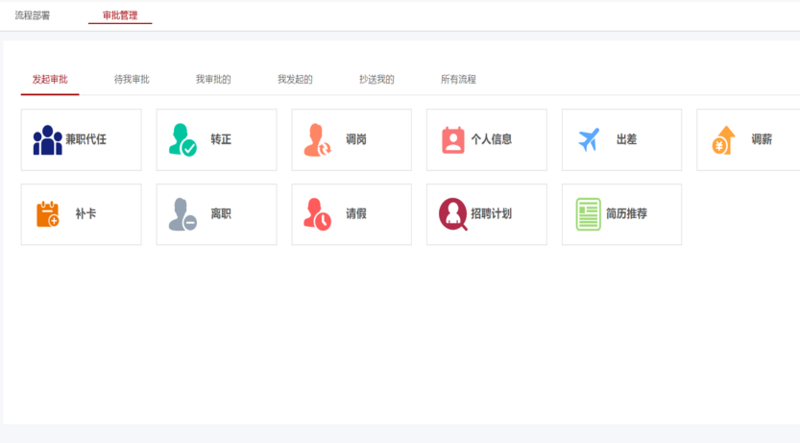 Automatic reminder：The system can automatically prompt HR before the expiration of the employee’s expiring contract, unsigned contract, forthcoming, birthday, social insurance, document expiration, recruitment, retirement, commercial insurance, work injury, talent recommendation fee, and provident fund. HR++introduces comprehensive intelligent reminders, which can be set independently by HR users, and is no longer limited to common items such as contract expiration, due date, birthday, and expiration of qualification certificates. At the same time, the reminder conditions can be set according to the actual business needs of the customer, and the reminders required in each link can be embedded in the system in combination with the service, and different users can be reminded according to the permission setting. The division module displays to-do items or urgent matters and improves HR work efficiency. HR no longer has to worry about forgetting to do important things. Organization chart can be exported, printed, etc. 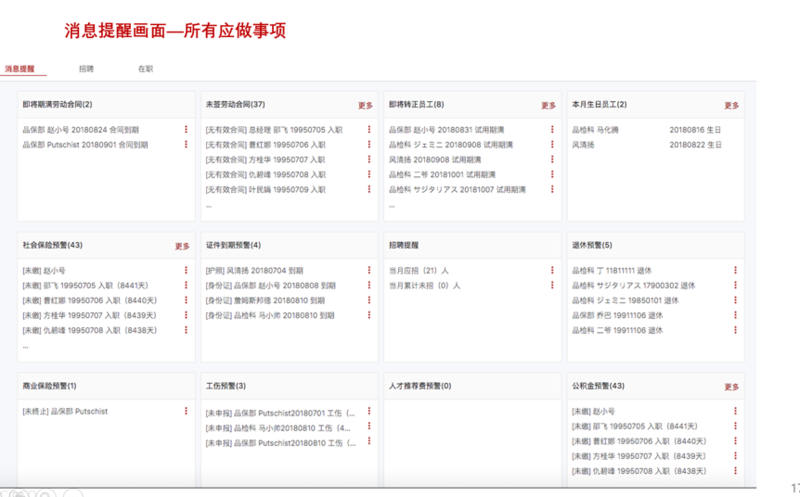 The detailed info of staff can be viewed by manager. The actual number of people can be shown on the organization chart. Companies can build process systems based on their different types of business. The form format supports personality customization, and the process can be visually defined according to the role and management level. 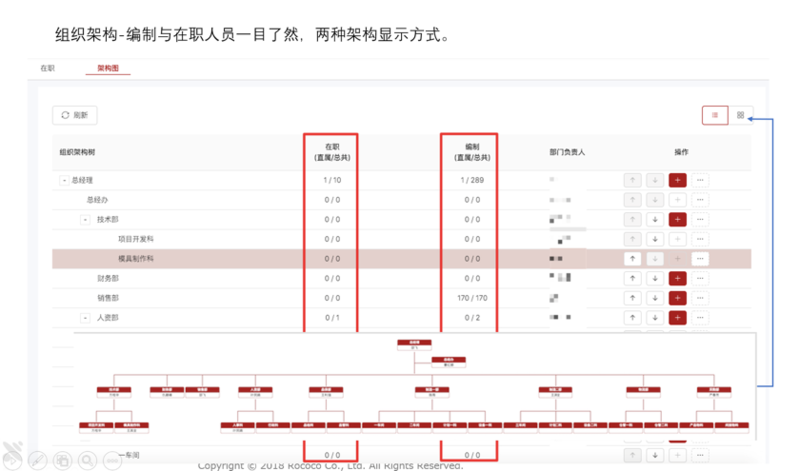 At the same time, HR can view and effectively monitor each node of the process, and improve the standardization and execution efficiency of the business process.